Camperdown Wildlife Centre has announced the arrival of new European Brown Bears at the zoo for the first time in 30 years. Three young bears, aged 22 months have arrived from Kolmården Zoo in Sweden. Staff at the centre will allow them around 30 days to settle in before they are fully introduced to visitors just after Christmas 2016. 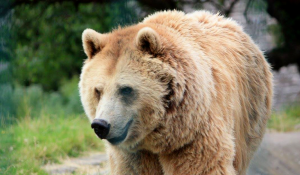 One male and two females will join, Star, the much loved older female bear at the zoo. The three new bears are siblings and their mother was raised in captivity and father introduced to the Swedish zoo from the wild. Camperdown Wildlife Centre has a long relationship with the iconic animals and there have been a number of hugely popular bears at the centre over the years. Jeremy, the original Sugar Puffs bear, arrived in 1970. Comet was welcomed in 1986, closely followed by Star soon afterwards. In the wild, the brown bear is found in small pockets in Spain and Italy, with the largest populations remaining in the former Eastern Bloc countries such as Romania, with numbers still in the thousands. They are not classed as endangered although they are almost extinct in some areas because of hunting. 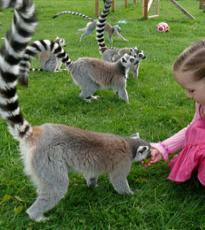 They have evolved into omnivores, eating a wide range of food from nuts, roots and berries to small animals and birds. They hibernate during the winter months and give birth during this time. In captivity, bears usually stay awake the whole year round as they have a constant food supply although they can go into partial hibernation. “You can imagine just how excited we are to announce the arrival of these three bears. The Wildlife Centre has a long association with European Brown Bears and has been a pioneer in bear welfare over the years. It is great news that we will now have three more bears to serve as ambassadors for the species. There is a statutory 30 day isolation period as part of their settling in process. As a result, an area of the Walled Garden at the Wildlife Centre will be unavailable to the public for this period, although visitors may glimpse a view of the new arrivals from a distance. Leisure & Culture would like to thank visitors in advance for their patience during this time.